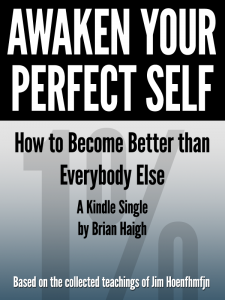 Based on a series of interviews with self-perfection guru Jim Hoenfhmfjn (pronounced “Hinfmfn”), “Awaken Your Perfect Self” introduces the reader to Jim’s philosophies in 15 easy-to-digest life lessons. Learn how to put yourself before others, take instead of give, and stop being a follower and become a leader. Propel your life forward and achieve ultimate success – start perfecting yourself today! The followup to “Awaken Your Perfect Self: How to Become Better than Everybody Else” teams the recently-paroled narrator from the first book with ace cat detective Sam Touba as they hunt high and low for the elusive self-perfection “guru” Jim Hoenfhmfjn. 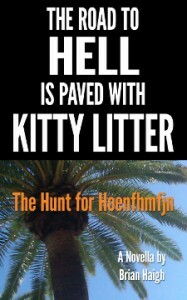 Part road trip, part detective send-up, “The Road to Hell is Paved with Kitty Litter” is an absurdist journey that begins behind a dumpster in a seedy Los Angeles parking lot and finds its way to Las Vegas, with several cats and Hoenfhmfjn “life lessons” sprinkled in between.